Dennis Dillon Kia is proud to offer Nampa drivers a wide selection of Kia accessories specials, making it easy and affordable to take your ride to the next level! Whether you drive the distinctive Soul, the stunning Stinger, or classic Optima, accessories enhance your everyday Caldwell drive. From interior comforts to exterior finishing touches, Dennis Dillon Kia is excited to bring you the latest in Kia personalization! Upgrade from Cloth to Factory Grade Leather! Defend against anything the road throws your way! Not all options are available on all vehicles. See your local LLumar dealer for details. Call 208-336-6106 to schedule your install appointment! We Will Match any Online Price on any Yakima Item We Stock! We stock bike racks, cargo boxes, cargo baskets, roof racks and more! New current model year Yakima items only – no discountinued, used, open-box or damaged items. 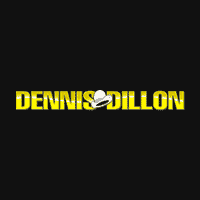 Item must be in Dennis Dillon’s Stock in Boise, ID. Special order items do not apply. Proof of online price must be provided by customer. 10% off your floor mat or cargo tray purchase! Factory or aftermarket. 10% Off Advent Custom Headrest Systems. 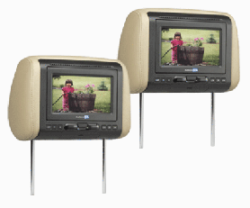 10% Off Advent Mobile Video Overhead Systems. Personalize Your Ride with Kia Accessories! You deserve a ride that fits your personality, and taking advantage of accessory offers is a great way to make every Twin Falls drive an adventure! Visit Dennis Dillon Kia today to explore these accessory deals and more!